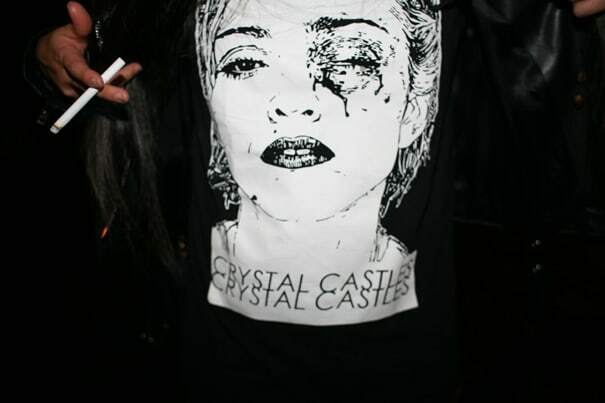 For a moment in 2008, Crystal Castles was known for their copyright controversy almost as much as their music. The band was sued by artist Trevor Brown for using his black-eyed Madonna artwork (pictured above) on band merchandise without his permission. The conflict was resolved when the rights to the image were legally purchased. Another legal dispute came about when it was discovered that CC sampled the kick and snare from Covox's "Sunday" on their banger "Love & Caring." LISTEN: Crystal Castles "Love & Caring"